The Harrod Sport ® Freestanding Heavy Duty Steel Football Posts 16ft x 6ft are heavy duty posts designed for venues that have constant heavy usage. 2 x Freestanding Steel Goal Posts 16ft x 6ft. 1 x Freestanding Steel Goal Post 16ft x 6ft. Crossbars, backbars and side frames are manufactured from 48mm x 3mm thick steel. Heavy duty tube clamp joints have factory fitted grub screws with the exception of crossbar and backbar joints which have stainless steel bolt fixings. Goals supplied with a 3ml sachet of Loctite Threadlocker glue. We recommend the Loctite glue is used if a goal is to receive heavy usage and does not need to be dismantled. 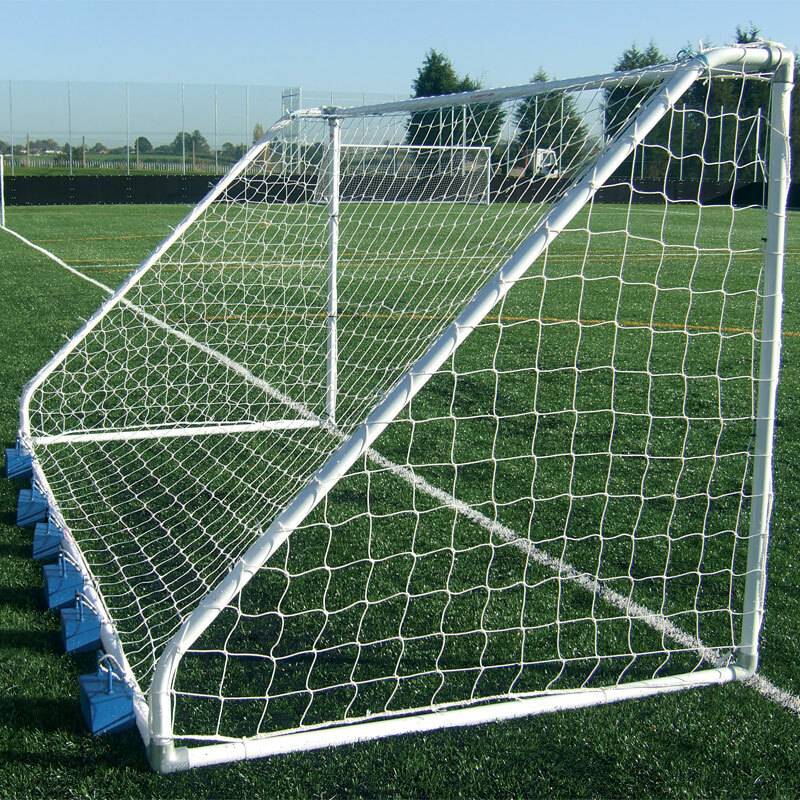 Crossbars, backbars and side frames are polyester powder coated white. Heavy duty tube clamps ensure secure assembly of all joints. 4.88m x 1.83m (16' x 6') - 154kg per pair, 77kg per single.